Learners are taught and guided through Creative Sound & Music Production courses by a host of lecturers with a wealth of experience, drawing from many disciplines. Originally from the west coast of Sweden, Andreas moved to Scotland in 1999 to study Sound Production at Stow College in Glasgow. After a number of years of academic hiatus, he went back to Glasgow School of Art to achieve a Masters in Sound for Moving Image in 2013. Andreas has created and produced sound and music for a variety of productions, from corporate promo’s to a number of short feature films. As a musician, he has also been involved in a range of projects (Moon Unit, Pyramidion, Lucid Sins), leading to a plethora of LP, CD and cassette releases as well as tours around the world, supporting bands like Mogwai, Faust and Michael Rother of Neu. He is currently deep into the financially dangerous waters of Eurorack synthesis as well as developing his skills in sound design for video games. Teaching across both Sound and Film Production strands of the Creative Industries department, Andreas specialises in some of the more technical aspects of sound design, sound for games, synthesis and audio programming. Andreas is a devout listener to German 70s “Krautrock”, MF Doom and the soundtrack to the video game “Fez”. David initially studied media & video production at college which provided opportunities to work on a variety of different filming projects including short fiction, music videos and several documentaries covering a range of themes and topics. Notable features of the time included a look at the work undertaking at the GalGael initiative in Glasgow and an insight into rural life in the remote mountainous regions of Portugal. A keen interest in music and the recording process facilitated a return to academia, this time to study Sound Production at Stow College in 1999 which started a run over the next decade of sound engineering roles and activities in recording studios, rehearsal rooms and live venues, mainly based in the West coast of Scotland and working with a host of bands and artists. 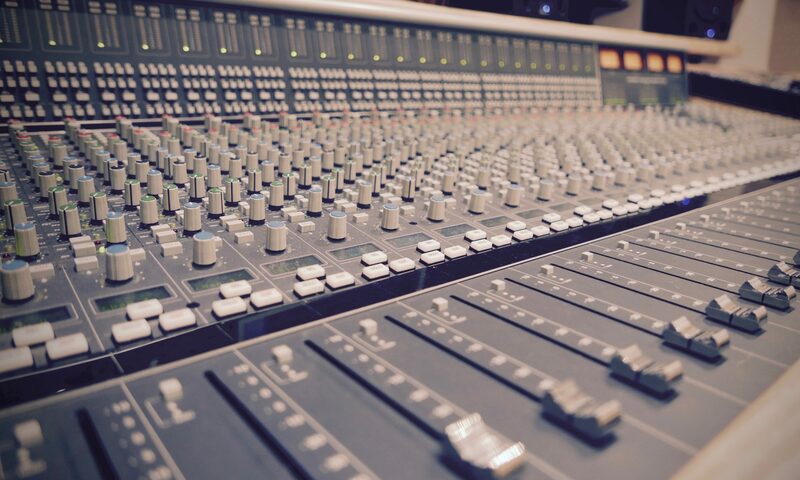 Covering a range of styles and genres whilst operating both tape based and digital recording systems helped garner invaluable sound production experience. An avid fan of Spacemen 3, Velvet Underground, the Beta Band, film soundtracks and sixties garage psychedelia means he appreciates things loud, lo-fi and experimental. In 2010, David started lecturing at the college and has contributed to the continual evolution of the department in its strive to remain industry relevant and at the forefront of multi skill set training as students prepare for a career in the creative industries or to further their studies at higher education. Bertie Fritsch (b. London 1966) takes a multi-disciplinary approach to lifelong learning with experience in art, music, design, engineering and education. He has worked across a wide range of mediums and technologies within music production; installation, sound, video, design, engineering, sculpture and painting. Bertie has been a lecturer at the college since 2005. He recently successfully completed an MA in Contemporary Fine Art at the University of Cumbria Institute of Arts (2017) in addition to having a PGCE in Post-Compulsory Education; Diploma in Acoustics and Noise Control and a BSc (Hons) Engineering Product Design where, he developed the only pair of midi controller drum sticks (D.I.P.P.S.) using Honeywell air flow sensors and impact triggers! As a keen drummer, since the age of 12, and producer Bertie has performed and recorded and collaborated with many contemporary artists and musicians including: The Future Sound of London, Heidi Berry, Max Richter and Piano Circus. He has a wide range of industry contacts in music and the arts, the two things he is most passionate about besides fresh air, family and food! After achieving an HND in Sound Production at James Watt College and a degree in Audio Technology with Multimedia at Glasgow Caledonian University in 2008, Jim’s sound engineering journey began at the former home of Simple Minds, Central Sound Studios in Glasgow. After cutting his teeth recording and mixing with a range of local bands, Jim moved on to Chem19 studios working with a range of Scottish bands and Chemikal Underground Records label artists. In addition to working as an audio engineer within the studio Jim also co-wrote and taught on the studios successful Soundlab engineering course, now entering its 7th year. After a stint working with the band Texas as main songwriter Johnny McElhone’s personal engineer and freelancing in several Glasgow studios, Jim moved to work full time within Gorbals Sound on a range of musical styles including traditional folk, jazz and orchestral. Jim’s varied CV has seen him work on an array of projects from artists such as Glasvegas, Aidan Moffat, Capercaillie, Julie Fowlis, producers such as Paul Savage and John Wood, to recording music for BBC TV shows as well as recording music for the opening of the commonwealth games. Jim currently splits his time between teaching on our Sound Production courses, working on recording projects (recently completing recording work on Outlander’s Gillebride MacMillan’s forthcoming album) as well as working as an audio editor and sound designer for sample library giants 8Dio. Jim’s diverse wealth of industry experience helps him provide students with a sound understanding of all aspects of sound recording and production, specialising in teaching studio engineering and production skills within a practical recording studio environment.